Overfishing threatens ocean ecosystems, global commerce, and billions of people who rely on fish for food or income. Since the 1990s, sustainable fisheries have become a top philanthropic issue, especially among massive funders. Here, I look at the key players and what they fund. The numbers cited regarding the decline of global fisheries range from somewhat concerning to disastrous, with the most alarming assessments from Daniel Pauly of the Sea Around Us Project forecasting “the end of fish,” and describing the world’s fishing industry as a global Ponzi scheme. Pauly’s latest foreboding study reported that the decline in global catches has been rapid since its peak in the 1990s, even more unsustainable than previously estimated. Even optimistic analysts acknowledge that the world’s population is growing, meaning so too will demand for fish. Unsustainable fisheries endanger the livelihoods of entire coastal communities, our capacity to feed the world’s population, and a sizable chunk of the world’s economy. But there’s cause for hope that with a massive effort combining technology, investment, policy, and enforcement, we can restore fish populations to avoid collapse and even improve performance. There’s evidence that better management restores depleted fisheries. Many believe there’s even money to be made in the long run, as the World Bank estimates inefficiencies lead to $50 billion in losses annually. All of this has been attracting philanthropists since the 1990s, including market-focused conservationists, data-driven technocrats, and more traditional research-and-advocacy environmentalists. Part of the appeal that has drawn so many funders is the apparent solvability of this problem, of particular interest among metrics-obsessed billionaires who tend only to fund issues where their money can make a measurable impact. A 2012 study found that rebuilding the world’s fisheries would cost $203 billion, but in just 12 years, the benefits would outweigh the costs. That kind of stat is like catnip to people like Michael Bloomberg. As mentioned above, restoring fisheries was an issue that Mike Bloomberg couldn’t resist, with its combination of data-driven problem solving, human impact, and economic implications. So in 2014, Bloomberg Philanthropies unveiled its $53 million initiative to fight overfishing. The program focuses on Brazil, China, and the Philippines first, with the bang-for-the-buck nature of the issue particularly appealing to Bloomberg and his advisers. They cite 30 countries making up 90 percent of the industry, so intense focus could yield global impact. The initiative so far funds three angles and three organizations. First off, there’s support for RARE to work with local fishers, funding the global, community-focused nonprofit to implement local reforms. Second, Bloomberg is backing Oceana to take on industrial fishing through national policies that set and enforce catch limits. It’s less explicit coming from Bloomberg, but Oceana also advocates cutting industry subsidies that have flooded the market with too many ships relative to what’s in the sea. The third approach is one of the more interesting strategies out there. The initiative has funded Encourage Capital (formerly EKO) to pursue impact investment plans to quickly make certain fisheries sustainable. Encourage and other financial managers have described fisheries investment as a potential J-Curve, a venture capital term that describes short-term losses up front that surge into gains in later years. In short, get enough rich guys to pay for improvements to how we fish, and they will eventually see a windfall. Related: Since When Does Mike Bloomberg Care About Fishing? Rockefeller Foundation is totally on board with the Bloomberg impact investing approach, serving as a partner behind the Encourage Capital work. But Rockefeller is one of the more justice-focused large environmental funders out there, and its young fisheries program puts an emphasis on helping small-scale fishers benefit from sustainability. The funder only started making grants for fisheries in 2012 and officially launched its program in 2013, but has become a top player very quickly, dropping millions on a handful of nonprofits. Its priorities include working with vulnerable populations to advance sustainable techniques, and to advance community management of specific local fisheries. In other words, Rockefeller is interested in making sure better fisheries benefit and are driven by locals, instead of just the larger fishing industry and outside investors. Notable grants include $2.4 million in support for the Sustainable Fisheries Partnership in 2015 to transition crab fisheries in Indonesia and build a model for sustainable, small-scale fisheries. The funder also awarded $2.3 million at the launch of the initiative to Oceana for policy and subsidy reform. And Rockefeller has also supported academic research through a $559,000 grant to University of Rhode Island to better understand the root causes of fishery overexploitation. Impact investing is far from the only fisheries strategy that hinges on economic incentives, and Moore, Packard, and Walton, three of the largest funders in this space, are all deeply invested in market-based strategies. For starters, the Gordon & Betty Moore Foundation, from the wealth of the microchip pioneer, has an Oceans and Seafood Markets Initiative that seeks to reshape market demand and demonstrate economic value so that companies willingly pursue reform. A search of its grants database shows more than $11 million awarded in 2015 toward seafood markets. The biggest grantee in the program is the World Wildlife Fund, which has received more than $6 million since 2013. Most WWF support goes toward improving traceability in the seafood supply chain, thus improving our understanding of geographic seafood sources. The fishing industry is the Wild West in many ways, and Moore is one of the leading funders trying to use technology and industry collaboration to get a firmer grasp on how seafood gets from boat to dinner. The other big avenue through which Moore is funding fisheries work is its Marine Conservation Initiative, which funds comprehensive ocean planning—sometimes called zoning for the ocean, of which fisheries are one component—and reforming fisheries management. The latter also involves economic incentives by setting limits and establishing “catch shares” that allocate portions of that limit to fishers within an area. The Walton Family Foundation is one of the most economics-focused environmental funders, and also happens to be one of the biggest sources of green philanthropy overall. In 2014, WFF gave $39 million to marine conservation, and nearly $18 million of that funded ocean sustainability through economic incentives. That funding was nearly split between two approaches—catch shares and seafood certification. 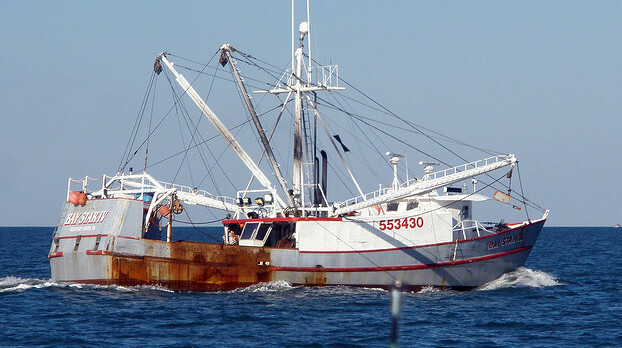 Catch shares, mentioned above as a priority for Moore as well, are common market-based schemes to align seafood economics with sustainability. Think of it like a cap-and-trade program for fish, in which fishers own a stake of an allowable catch deemed healthy for the region. Walton is one of the biggest funders of the approach, and nearly 90 percent of the $9.4 million Walton spent on the strategy in 2014 went to catch shares’ biggest proponent, the Environmental Defense Fund. A note on catch shares. There are variations, and their effectiveness and fairness depend on the details. But some critics equate the practice to a privatization of oceans, and point out that catch shares consolidate the fishing industry through accumulation of shares, favoring large corporations over small fishers. The Center for Investigative Reporting did a detailed analysis of problems with catch shares, which you can read here. The other half of Walton’s fisheries strategy is certification systems. This is another popular market-based approach, but works on the demand side, creating ways for consumers to shop for sustainable products, providing incentives for suppliers. One large WFF grantee is the Marine Stewardship Council, which has drawn criticism for being soft, but is one of the best-known certification programs. The David & Lucile Packard Foundation is another major oceans funder and one of the earlier big supporters of fisheries work, with a program dating back to 1998. Packard’s strategy seeks to have one-third of the volume of wild caught seafood from sustainable sources or through rebuilding fisheries by 2022, and it also focuses on market-based approaches. The foundation divided work on the issue into two main phases. The first, running from 1998 to 2011, emphasized increasing demand by supporting certification systems and building a movement for sustainable seafood. Now in the second phase, Packard is funding work that translates that demand into management changes in fisheries and aquaculture projects. The foundation gives to some of the common large environmental groups, with $2.2 million going to the World Wildlife Fund for fisheries work. Some of Packard’s funding goes toward the foundation’s interest in the American West Coast, with Resources Legacy Fund receiving $2.1 million, 80 percent of which supports work on California fisheries. Those are the movers and shakers, but this is a field that’s regularly drawing new supporters, including some tech billionaires and companies with huge financial backing behind them. First, there’s Google (now Alphabet). The tech giant has begun using its all-seeing eyes for conservation purposes, and in 2014 started a collaborative program with Oceana and SkyTruth to analyze ship positioning data to crack down on rampant illegal fishing. Alphabet Executive Chairman Eric Schmidt and his wife Wendy are also involved in ocean conservation, and in 2015 committed $10 million to Monterey Bay Aquarium’s Seafood Watch program, which provides information resources on sustainable seafood. Microsoft co-founder Paul Allen’s marine giving has been taking off in recent years, as well, and in 2014, the Paul G. Allen Family Foundation made a $2.6 million grant to Daniel Pauly’s Sea Around Us project. Allen’s Vulcan Inc. is also behind Smart Catch, a certification program for restaurants that started in Seattle. And one of the latest billionaires to get into fisheries is Hansjorg Wyss, who is primarily known for land conservation. In 2015, he committed $10 million to Oceana’s fisheries work. With philanthropy overall increasing and marine giving in general on the rise, we expect this is an area of giving that will only continue to grow. And it seems to be particularly attractive to mega-wealthy donors and West Coast tech moguls, meaning we’ll likely see both established philanthropies and upstart donors continue to cut big checks to fisheries restoration in the future.